Molly was born and raised in Red Wing, MN. One of five children, she knew early on that she wanted to help people. Her path to physical therapy started after an amazing PT helped her return to running following a high school cross country injury. After working as a CNA and with developmentally disabled adults throughout college, she went on to receive her Doctorate in Physical Therapy. She has practiced in Central Oregon since 2007. Molly is passionate about continuing education and has extensive training in pelvic health for men and women, lymphedema treatment, as well as pre and post pregnancy care. Her treatment philosophy focuses on education and equipping patients with the tools for self-management. She enjoys working with people of all ages and conditions, from acute sports injuries to chronic pain. Outside of the clinic you can find Molly spending time with her husband Monty, son Bridger and their dogs. 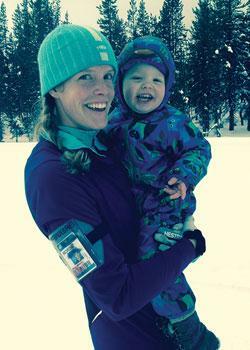 She enjoys skate skiing, alpine skiing, yoga, mountain biking, traveling, cooking and reading.